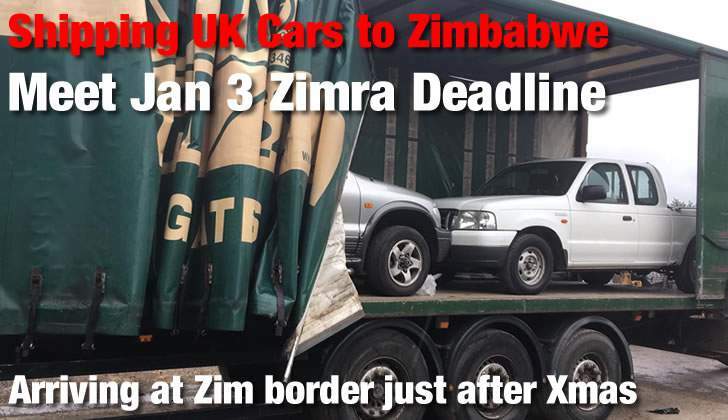 Zimbabweans importing motor vehicles from the United Kingdom have an opportunity to meet the January 3 2019 deadline of paying duty in RTGS and Bond notes if they use a facility offered by SmartWuhn Logistics LTD (pronounced Smart-One). SmartWuhn Logistics has announced that they have containers which will be arriving in Zimbabwe from the United Kingdom just after Christmas. SmartWuhn Logistics assures its customers that great care will be taken to safely load their motor vehicles so that they remain well secured for the duration of shipment to destination and does not move within the container either while at sea or being loaded and unloaded from the ship. On Sunday the Zimbabwe Revenue Authority announced that individuals whose cars are scheduled to arrive in Zimbabwe on or before January 3, 2019 can also pay duty through RTGS, bond notes or foreign currency.